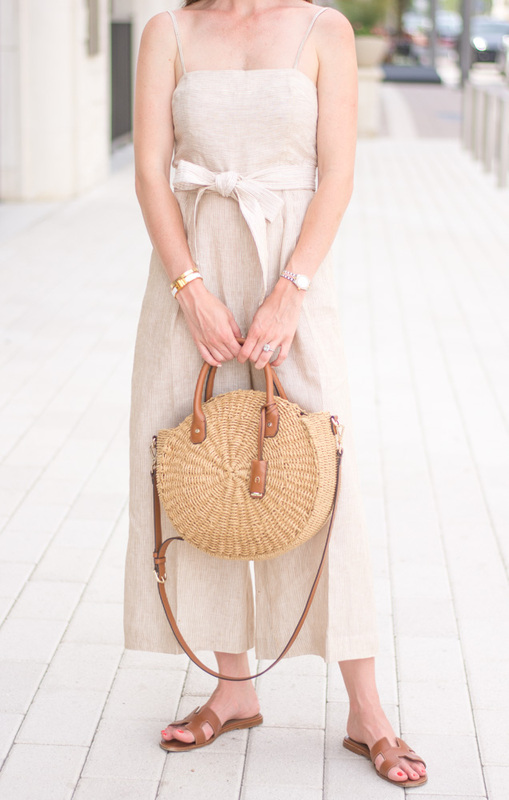 Do you guys have a favorite item of clothing from your summer wardrobe? If there is one item of clothing that we have really embraced this summer it’s the jumpsuit and this striped jumpsuit is one of our favorites. A jumpsuit is just. so. easy. to wear. While we were in London it was unseasonably warm and a lightweight jumpsuit was the perfect thing to put on for a long day of sightseeing, and then to relax with drinks in the back garden. 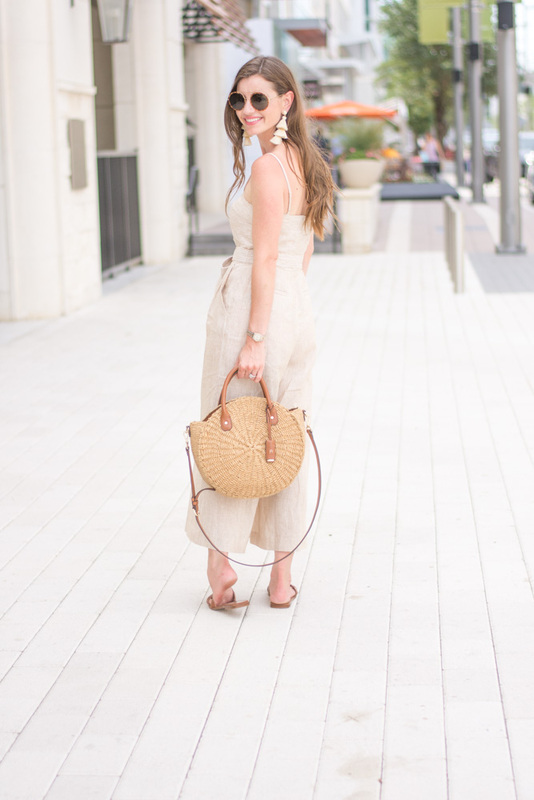 When we returned to Dallas we were welcomed with sweltering 110+ days and a jumpsuit was the perfect thing to wear out and about to stay cool and comfortable! 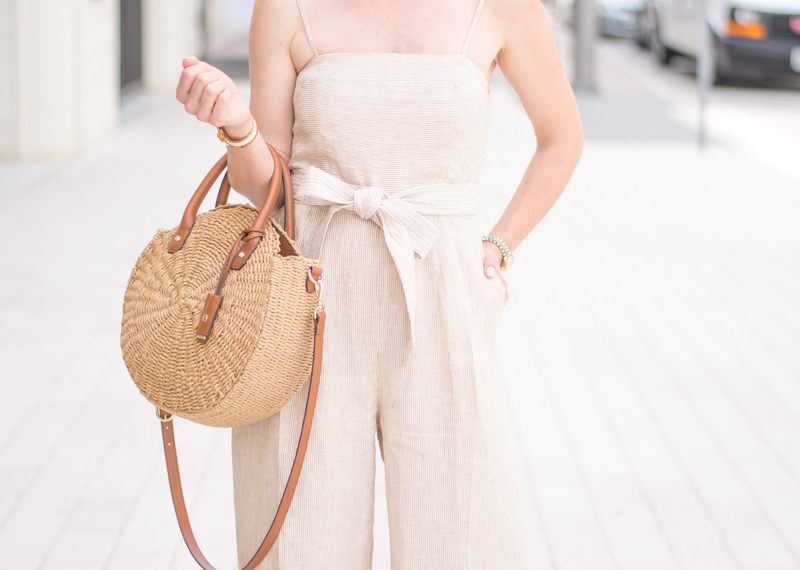 Another great thing about a jumpsuit is the way it can be dressed up or worn casually. This striped jumpsuit looks so cute with these flat sandals, but it’s easy to change into a pair of heeled sandals and grab a cute clutch and be ready for dinner out. Win/win!